Written by leading experts in the field, this book offers an introduction to recent developments in port and hinterland strategies, operations and related specializations. The book begins with a broad overview of port definitions, concepts and the role of ports in global supply chains, and an examination of strategic topics such as port management, governance, performance, hinterlands and the port-city relationship. The second part of the book examines operational aspects of maritime, port and land networks. A range of topics are explored, such as liner networks, finance and business models, port-industrial clusters, container terminals, intermodality/synchromodality, handling and warehousing. The final section of the book provides insights into key issues of port development and management, from security, sustainability, innovation strategies, transition management and labour issues. Drawing on a variety of global case studies, theoretical insights are supplemented with real world and best practice examples, this book will be of interest to advanced undergraduates, postgraduates, scholars and professionals interested in maritime studies, transport studies, economics and geography. Harry Geerlings is Professor in Governance of Sustainable Mobility at the Erasmus School of Social and Behavioural Sciences (ESSB) of the Erasmus University Rotterdam, The Netherlands. Bart Kuipers is Senior Researcher at the Erasmus School of Economics at the Urban, Port and Transport Economics Department of the Erasmus University Rotterdam, The Netherlands. Rob Zuidwijk is Professor of Ports in Global Networks at Rotterdam School of Management (RSM), Erasmus University Rotterdam, The Netherlands. "Global digital connectivity is growing exponentially, and transport connectivity needs to follow suit. "Ports and Networks" could not be published at a timelier moment. Globalized production and trade depend on reliable access to markets through seaports and shipping networks. Our data here at UNCTAD shows that less than 20 per cent of country pairs are connected with each-other through direct liner shipping services; for more than 80 per cent of country pairs shippers need at least one transhipment for bilateral trade. This leads to intriguing questions and challenges for researchers and policy makers alike. 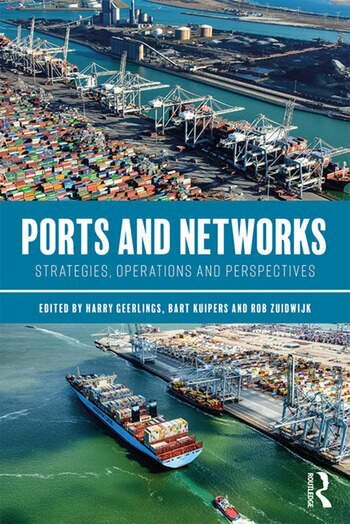 This book helps stakeholders understand the structure of the networks, and the role of the ports within the networks." Jan Hoffmann, Chief, Trade Logistics Branch, Division on Technology and Logistics, UNCTAD. "This book integrates theoretical knowledge of ports with practice, in relation to port-city interface and coordination of hinterland logistics. It discusses and analyses ports and networks in a broad-based yet in-depth manner. The volumes will benefit not only researchers but also practitioners in the shipping and ports industry in China and the world as a whole." Professor Zheng Hong, Shanghai Maritime University, and General Secretary of Shanghai International Shipping Institute-SISI. "Ports play an incredibly important role in society, and well run ports have a huge contribution to the local and global economy. In order to maintain relevance, ports will have to address potentially disruptive challenges caused by digitisation and climate change. The work of this group of outstanding experts will appeal to anyone with an interest in ports and their future." Allard Castelein, CEO of the Port of Rotterdam, The Netherlands.